Just because spring has passed and the heat of summer is here doesn’t mean you have to give up your dream of having a beautiful garden this year. During the summer months there are still a variety of quality plants available for use in your garden. Summer gardening follows the same rules as spring: pay attention to the weather. It is important to get flowers that can sustain summer heat. When temperatures rise, you don’t want to risk a flower because it receives too much sun or too little water. Pick up some stunning, mature pre-planted containers at your garden centre, where you can also see a full selection of trees, shrubs and evergreens. Summer is also the perfect time to install decks, patios, walkways or even an outdoor kitchen and dining area to meet your entertainment needs. “Gardening is an all-season activity, and with every season there is something different that you can do with your garden,” said Denis Flanagan, public relations manager for Landscape Ontario. 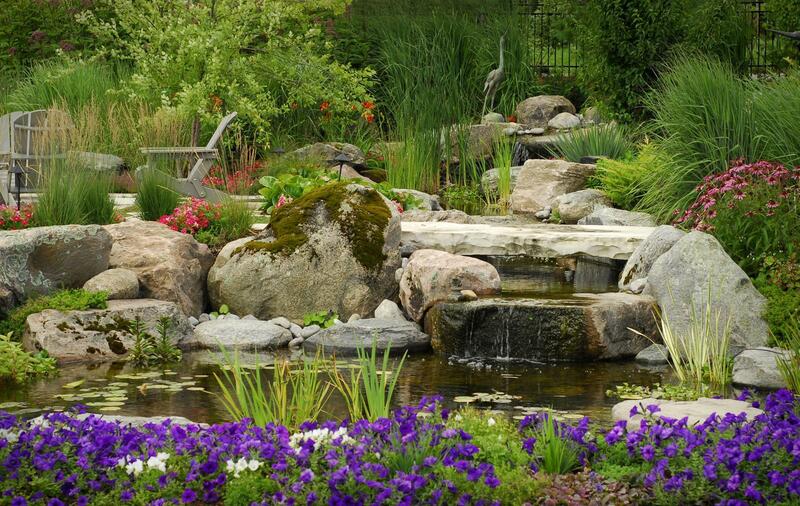 “If you’re not sure about where to begin with your summerscaping plans, there are over 2,000 Landscape Ontario member companies, garden centres to landscape construction, maintenance and design companies, whose knowledge and expertise can help create your summer garden,” said Flanagan. By visiting www.landscapeontario.com you can locate member companies in your area, view member profiles containing detailed information and see photos from past work. You can also find tools that will help you know what to look for when hiring a landscape professional. All Landscape Ontario member companies are part of Green for Life, and by shopping at Green for Life garden centres or hiring Green for Life contractors you know you are doing business with the best.